BRAT diet is the answer! BRAT is a mnemonic for Bananas, Rice, Apples/apple sauce and Toast! Extensions to the BRAT diet include BRATT (with tea), BRATTY (with tea and yogurt), and BRATCH (with chicken, often boiled). The BRAT diet consists of foods that are exceptionally plain and low in fiber. Low-fiber foods were recommended as it was thought that foods high in fiber cause gas and possibly worsen gastrointestinal upset. If you’re wondering what to eat if you suffer from diarrhea You can start your day with white toasts (as brown ones have more fiber), with labneh for breakfast. As a first snack you can have one banana. 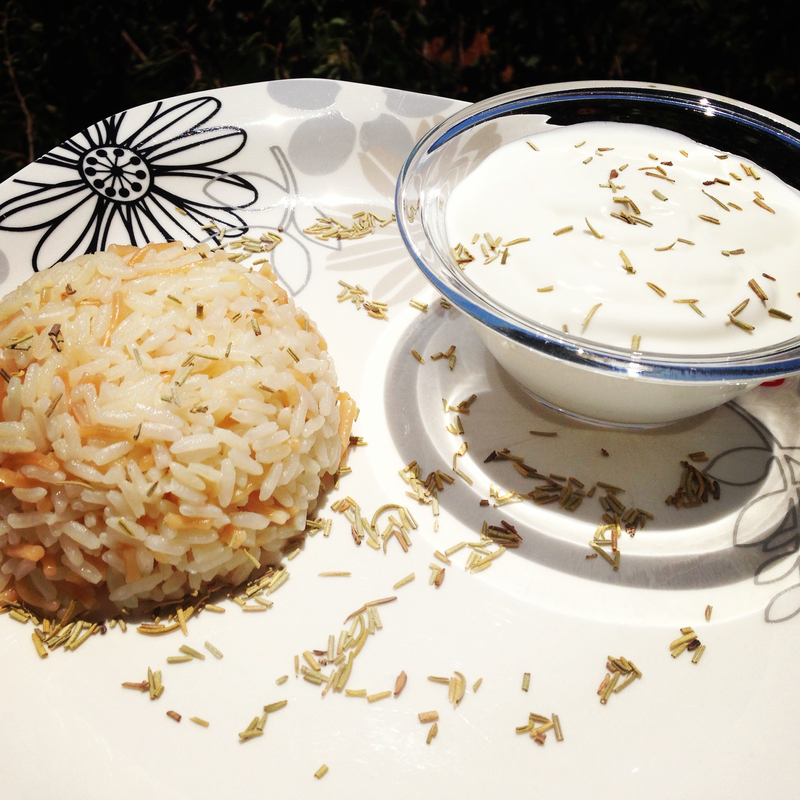 For lunch you can have white rice with yogurt and sprinkle some herbs such as rosemary or dill to spice up your dish! As an afternoon snack you can have an apple or enjoy dicing the apple and cooking it in a pan with cinnamon. For dinner you can also have toasts and labneh. Avoid fatty foods as they can speed up intestinal contractions and cause a reaction to a system that is already sensitized. Therefore, try not to eat anything that is greasy, fried, creamy, or covered in gravy. Avoid dairy products as Diarrhea can cause a lessening of the amount of the enzyme lactase. Lactase is needed in order for the body to digest lactose, the sugar found in dairy products. If this “milk sugar” goes undigested, it can result in further symptoms of gas, bloating, nausea and diarrhea. Avoid Sugar free products such as candies, gums, carbonated beverages as artificial sweeteners can have a laxative effect, as well as contribute to gas and bloating. Avoid gas producing foods such as beans, broccoli, cauliflower,etc. as they might contribute to further diarrhea.Avoid Alcohol and coffee as they have the potential to irritate your GI tract. Focus on home made food and avoid eating out.Sometimes ordering a glass of water with ice cubes from a restaurant can contribute to further diarrhea. If the diarrhea persists for more than 24 hours re-contact your nearest physician. ← ~*When You take a trip does your diet go on vacation too ?